AccessoriesEven the covers are more brilliant. 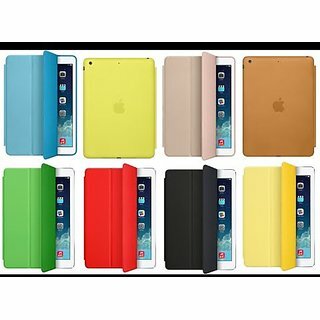 The Smart Cover is constructed from a single piece of polyurethane, comes in seven bright new colours . 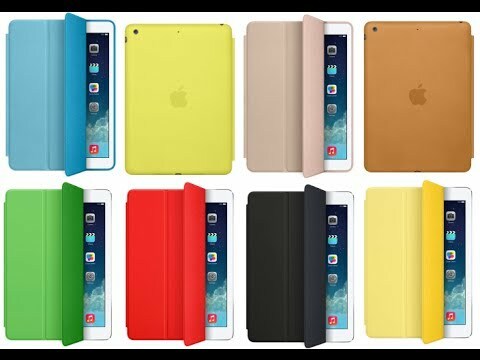 The Smart Case is the most streamlined way to protect your iPad, front and back. It comes in ﬁve elegant shades, and its beautiful aniline‑dyed leather feels great in your hand. The Smart Case wakes your iPad when opened and puts it to sleep on close. And like the Smart Cover, it folds to create a stand, so you can position your iPad for whatever you want to do, wherever you want.